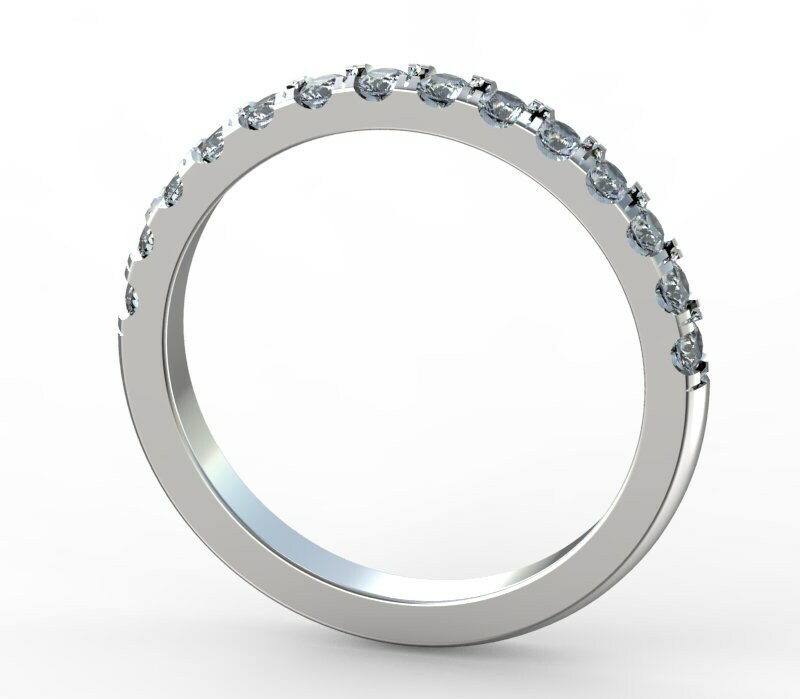 To fulfill many customer requests, we have created a 14-stone stacking ring that fits perfectly with our halo rings! 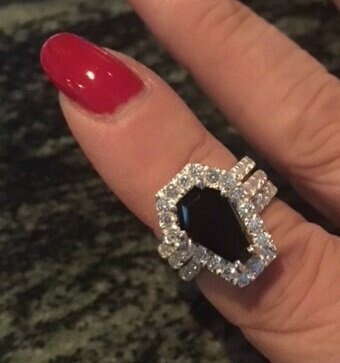 Buy them singly, or as many as you like, for a dramatic look that enhances your Coffin Gem® halo ring while taking it to a whole new level! 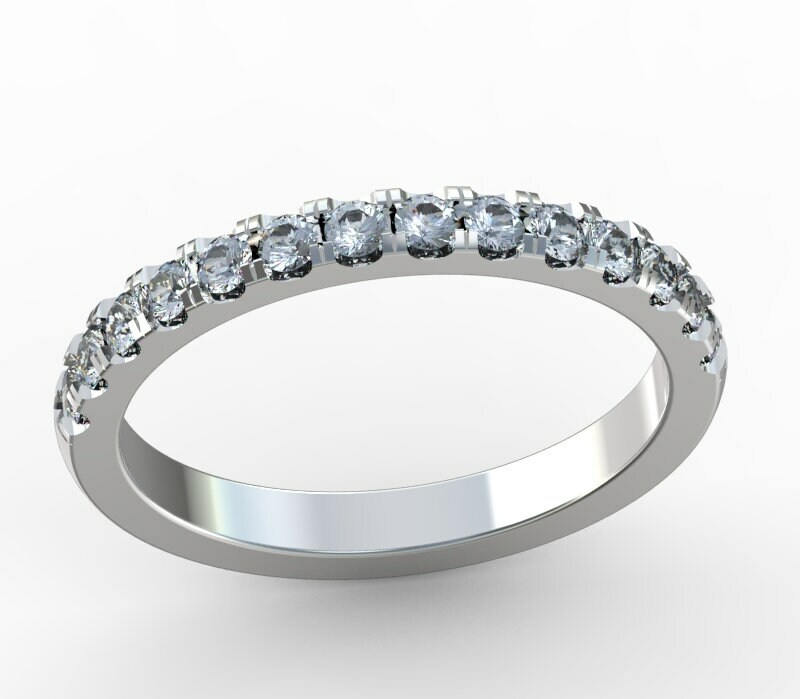 The 2mm gemstones are mounted 1/2 way around the sturdy 2mm thick ring for comfort, good looks and durability (2 stacking rings are shown in the pictures). 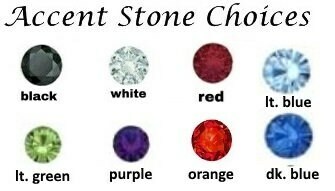 STONE CHOICES: Choose from our palette of choices (colors and materials as listed). 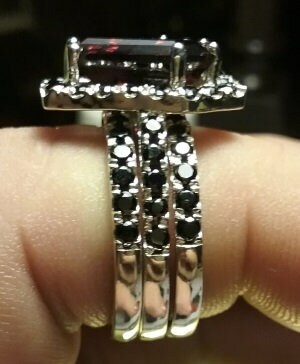 We use only USA grade (.925) sterling silver in all of our jewelry designs. 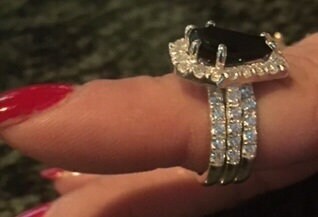 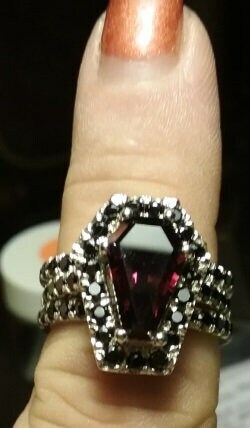 This ring ships in stocked sizes of 5, 6, 7, 8 and 9.